November is the National Caregivers Month and the group consists of family members, friends, neighbors and volunteers across America. With caregivers in mind, I reached out to professionals in the SeniorCare.com Aging Council on the topic to get feedback and suggestions that help them. Hire support - They could be young family members like teenagers. This group is a wonderful, inexpensive workforce! Rhonda Harper, Senior Care Auditors. The National Family Caregiver Support Program offers help and resources for caregivers through the local Area Agencies on Aging. Family members are eligible to receive up to 30 days of respite care annually while they take a break. Evan Farr, Farr Law Firm. Pick partners to help you, such as neighbors, friends, extended family, church volunteers, senior center volunteers. Provide a list of possible tasks they could help with, such as prepare a meal, groceries run, Pharmacy run, laundry, a ride to the doctor, set up professional appointments, etc. Individuals can manage the activities through online tools like Carebridge or Lots of Helping Hands. Rhonda Caudell, Endless Legacy. Make the workload lighter by keeping a list ready for the time when someone says "how can I help?" Give them a job from your list so you have time to do other things. Everyone has talents so make use of any offers for help by being ready to ask! We all need a little help from time to time and giving away some of our jobs can relieve some stress! 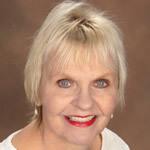 Kathy Birkett, SeniorCareCorner.com. As both a professional in aging services AND a caregiver, I recommend that caregivers start their day with exercise and meditation. Build 45 minutes into every day for yourself and it will center you and give you both the attitude and the stamina you need to succeed as a caregiver. Anthony Cirillo, TheAgingExperience.com. Technology can help improve communication between the care recipients and caregivers. It allows a person to focus limited resources on those that need it at that time. Communication that feeds information to caregivers about fall detection, health vitals, and activity levels are useful. David Inns, GreatCall. Use online apps that allow you to upload and view essential information about loved ones online. Tech applications give caregivers instant access anytime. Upload documents like the health care surrogate, Power of Attorney, and Living will. Add the medications that the patient takes, and the medical team's key contacts. Shannon Martin, AgingWisely.com. Get ahead of future challenges and produce a emergency plan. If you are responsible for helping a loved one liquidate property, prepare a durable power of attorney and other documents required by your state. Nikki Buckelew, Senior Real Estate Institute.